Hey everyone! 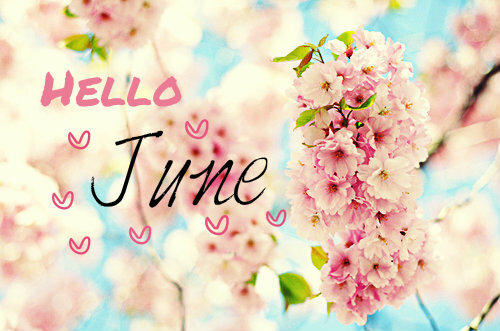 So today I thought I would do a blog post about all the exciting things June has to offer and why I reckon it is going to be the best month of the year I've had so far! If you read my post recently then you will know that the 2015 so far hasn't gotten off to a great start. I won't go into the details here as I want this to be a positive post filled with no negativity. However there are so many amazing things happening this month both in my life and just general other fun things happening that I'm excited about. These are five of the most important things I am looking forward to this month. Pretty Little Liars Is Back: Okay, yes I know this might seem really silly to be excited that a TV show is coming back but I absolutely love Pretty Little Liars and I'm so super excited that season six has restarted. The last season was absolutely amazing and definitely the best yet. The first episode of the new season is already up on netflix for those of you who still haven't seen it. IT'S AMAZING. I'm so excited for the next episode! Only four days to go. Theatre Trips: Recently I have been saving a lot of money from all the small little jobs I've done and decided to treat myself to a few trips to the west end here and there. Last month I went to see Miss Saigon which was absolutely amazing and if you haven't seen it I'd highly recommend it. However I also want to see Les Miserables and Phantom of the Opera. I've recently booked tickets to see Jersey Boys too which I am so excited about as I absolutely love Frankie Valli & The Four Seasons and I loved the Jersey Boys film so to experience the actual story live on stage will be incredible. I just feel that as much as I don't want to spend money I want to enjoy my life and have a bit of fun too. I am only 23 after all! I should be having fun and enjoying my life! Leading A Healthier Lifestyle: So I know this is something that I should probably be doing 99.9% of the time but I will be honest here and say I don't. My diet isn't that great and neither is my fitness routine however I've been watching a lot of videos recently and making little changes to improve my lifestyle and I have already noticed such a difference in not just my body but also the way I feel daily. I feel less tired and less groggy and just feel like I have tons more energy so I look forward to seeing the changes over the next couple of months. It won't be easy but I'm excited to see all the changes both mentally and physically. Working Harder On My Blog: Despite my blog content not lacking in how much I post I'm not happy with it. I've definitely been a person recently who has done a couple of posts just for the sake of having a post out on time and I haven't been happy with them. This month however I want to stop that. I'm going to sit down more and find inspiration and try and come up with new ideas for blog posts as well. I was considering taking a little break from it but I've realised that I love blogging way to much for that so I will just take every second or third day to just take a step back and find inspiration and even just to read and find new blogs as I've been severely lacking when it comes to reading blogs recently. Starting My New Job With British Airways: I've saved the best thing about this month till last here. I start my job on the 23rd June which I am so incredibly excited about as well as super nervous about. I graduated university in 2013 with a degree in tourism management and previous studied tourism at college. However it's taken me two years to find this job. I have been doing various jobs and if you've been reading my blog for the past year know that I went abroad to Turkey and worked as a kids representative for six months. The travel industry is something that I've always been interested in since I was a kid as I absolutely love airports and the entire atmosphere in them. I know some of you reading this probably think that this is weird and that it's a rubbish job and I should aspire to do more but this is something I'm really passionate about and I'm super excited to finally start my career. June will finally be the month that I can work towards something both career wise and blog wise. I really can't wait to start living my life the way I've always imagined and finally be happy with everything. Sorry if this post has bored you a little bit but it's just something I wanted to write about just so I can look back if I'm having a bit of a negative moment and remember what it is I'm working towards! Lovely post! So happy for you, June sounds great! Started following your blog today :) I'm quite new and would love for you to have a little look at my blog if you have a spare minute. Omg how good was the pretty little liars episode! Best! Btw you should totally bold or put those mini starting titles in subheading tags so that they are easier to see! Because you wrote your post split into mini sections, which is fab because it makes it easier to read, but the mini headers are hard to see, so it looks more daunting like it's one large piece of text!